I write a lot about bad credit here on the blog, how to improve your score and the tricks to get a loan without a good score. But I love writing about good credit and once you’ve gotten to a 700 credit score, you’re getting extremely close to that point. A 700 FICO won’t get you everything you need or the lowest rates shown online but you’re going to start noticing some smiling faces when you walk into the local bank. 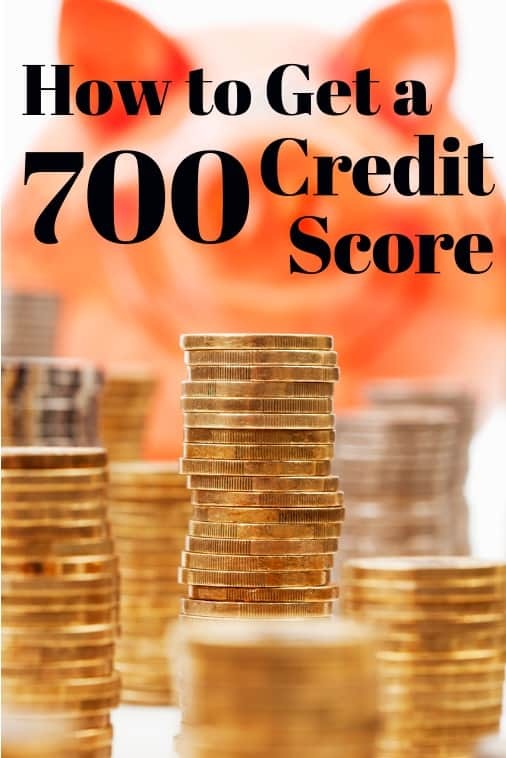 Let’s look at what a 700 credit score means to your financial life, how to use it and how to reach that last milestone of perfect credit. Is 700 FICO a Good Credit Score? Credit scores range from 300 to 850 on the FICO scale so 700 is on the upper end but doesn’t necessarily mean it’s good credit. You see, your credit score isn’t just that three-digit number but also everything on your credit report. When a lender looks at your credit score, they’re also going to pull your report and use it with your loan application. That means even if you’ve managed to build your credit up to a 700 FICO, it still might take a while to get a loan. We’ll get to more about that later though. Either way, you’re in good company with a 700 score. Just over half (54%) of Americans have a score over 700 FICO according to Fair Isaac Corporation. 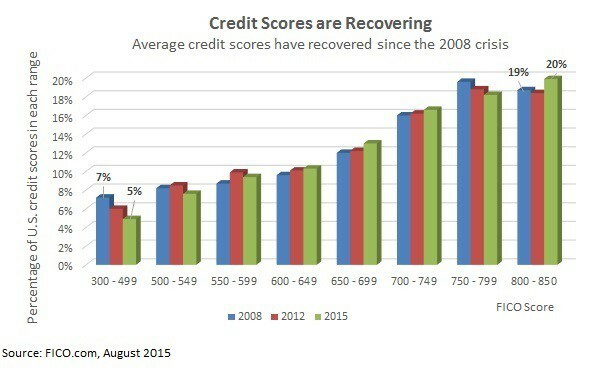 How Many People Have a 700 Credit Score? You might not be in that mythical 800+ range yet but be happy you’re not in that third of Americans that have a score under 650 FICO. That’s well under the cutoff for subprime lending where banks won’t touch your credit. How Long Does it Take to Build a 700 Credit Score? How to build a 700 credit score is one of the most frequent questions I get on the blog. There just seems to be something about that nice, round number that people aim for on their credit. It doesn’t necessarily mean you’ll get approved for any loan you want but it’s a good start. The problem is that the question has two answers and depends on if you’re starting from scratch or trying to rebuild your credit. For younger borrowers without much credit history, it’s a matter of using a credit card for a few months to build up a history of on-time payments. Since you don’t have any bad marks hurting your credit score, each monthly payment that goes on your report will help boost your score. It’s a little more difficult if you’re rebuilding your credit score from a few mistakes but not impossible. Being late more than 30 days on a credit card or other debt will go on your credit report. It’s going to stay there for at least two years and sometimes longer. Other bad marks like a foreclosure and filing bankruptcy could stay on your report for up to ten years. That means that even building up your credit with new monthly payments is still going to be hampered by those bad marks. In my experience and talking to others, you can generally increase your credit score 50 to 100 points over the first three months of a credit program. Depending on how bad your credit is, it can take about 18 months to build your score to 700 from bad credit under 600 FICO. Can You Get a Loan with a 700 Credit Score? The reason why you hear so much about prime and sub-prime loans is because it’s an important point for banks. Sub-prime is a borrower with a credit score under 680 FICO and is the point where the loan won’t qualify for government guarantee programs. Banks aren’t able to sell sub-prime loans to investors so they aren’t usually able to make those loans. Since 700 FICO is above that, you’ll at least be able to get your foot in the door with your loan officer. Unfortunately, that doesn’t mean you’ll get a loan. If you’ve got bad marks still on your credit report like missed payments or if you owe a lot on your credit cards, a traditional bank still might turn you down. That means you still might need to use an online lender though rates will be much lower on a loan backed by a 700 credit score. I’ve used personal loans several times, first for debt consolidation and then for home improvement and other projects. It’s easy enough to fill out the application online and get your money but there are a few tips to get the lowest rate and the best deal possible. Since lenders do a soft-pull of your credit for approval and to estimate your rate, you can apply on several sites without hurting your credit score. This is important because it’s going to make sure you get the best rate available. I’ve used PersonalLoans more often than others but good credit borrowers might want to start with a platform like SoFi or Upstart. These last two have stricter credit requirements but usually offer lower rates. Only borrow as much as you need and as much as you can afford. The loan sites will show you exactly how much your monthly payment will be as well as the interest rate before you agree to the loan. Borrowing a smaller amount and on the shortest-term possible will get you a lower rate. One trick I’ve used when my credit score was on the edge of a really good score is using a personal loan to build it further before refinancing. The idea is you borrow only as much as you need for the next year or get a loan to pay off all your credit card debt. Making regular payments will boost your credit score to 740 FICO fairly quickly and you’ll start getting quotes for much lower rates fast. A 700 credit score is a great start and you’ll start getting approved for more loans but you’re still not likely to get the advertised rate. It won’t take much though to boost your credit score far enough to get any loan you want.